Our recommended corner putty knife for smoothing HYDRO-BLOK joint sealant on all interior seams. Made of polypropylene plastic for easy clean-up and removal of cured HYDRO-BLOK joint sealant. 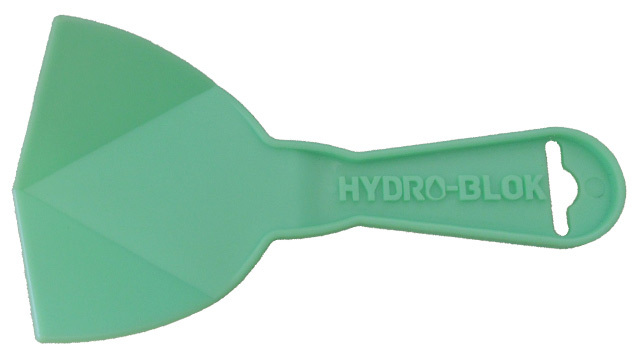 Each HYDRO-BLOK Shower Pan includes a straight and a corner putty knife. Also available separately from all HYDRO-BLOK dealers.